We’ve created a new events venue in an idyllic, secluded corner of South Devon, yet just 20 minutes from Exeter. 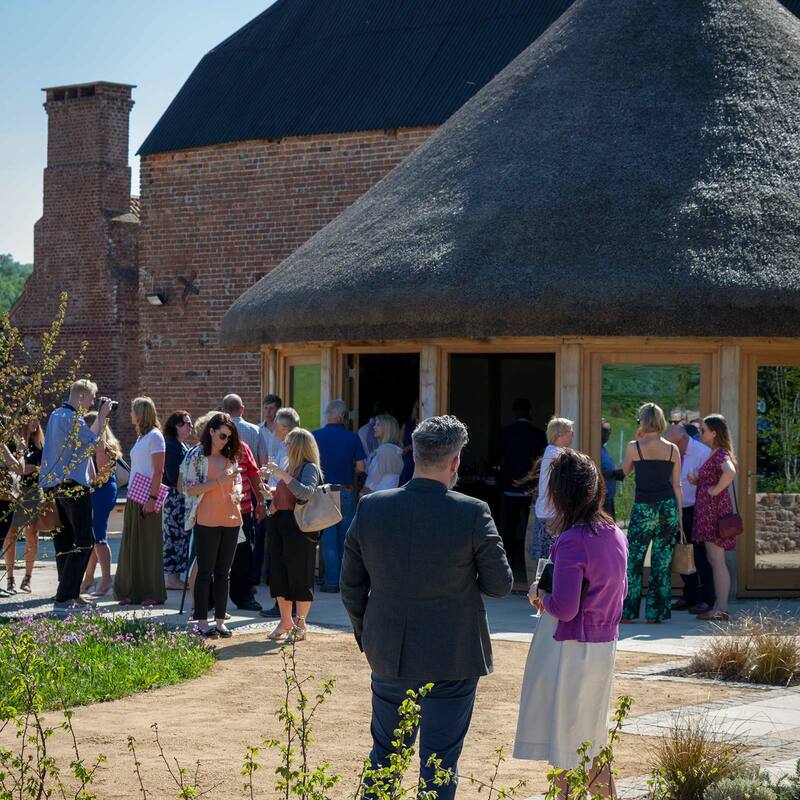 The recently renovated 18 Century Round House sits within 20 acres of vineyards, fields, organic gardens and woodland, providing exclusive venue hire for both corporate events and private hire. 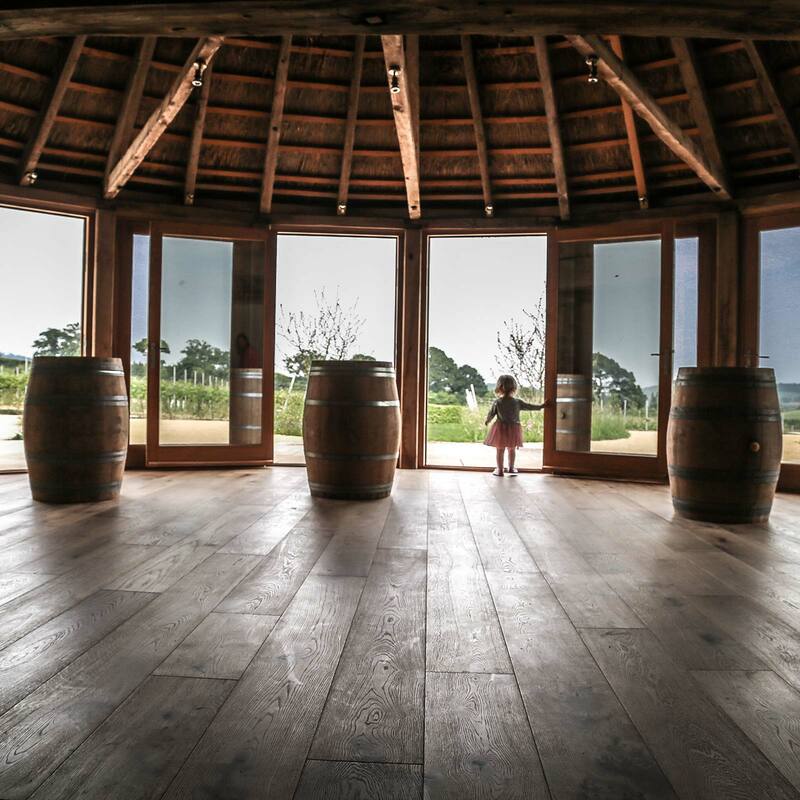 The adaptable inside-space and landscaped terrace both have stunning views over the vineyards to the countryside and coast beyond, making any kind of event held here extra special. The doors on the Round House open right up, creating a unique inside/outside feel. There’s plentiful parking and we can recommend transport and accommodation if required. Party venues and conference spaces don’t get much more special than this! 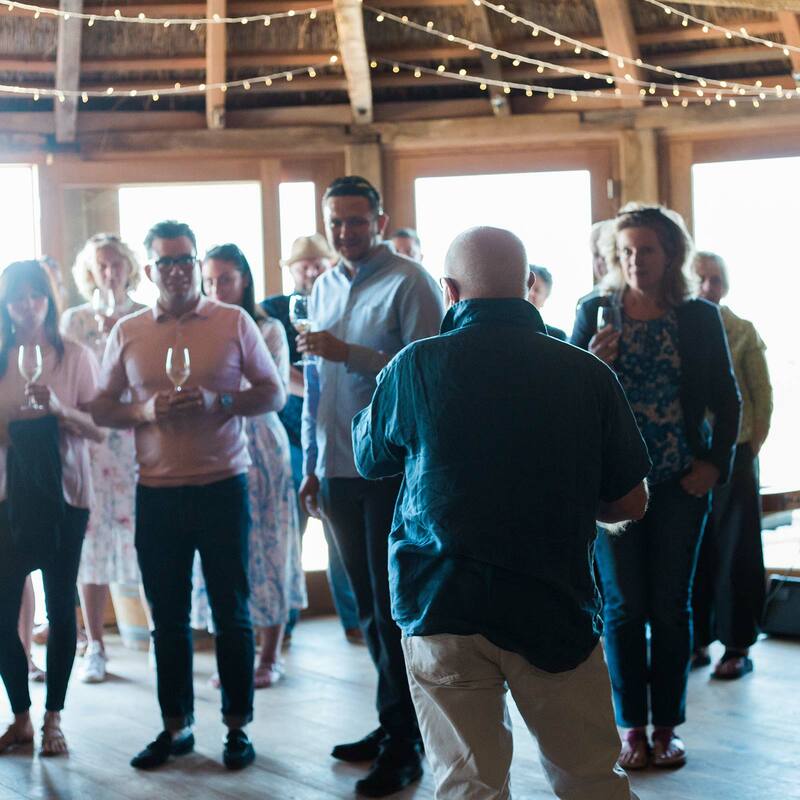 Whether you are hosting a small corporate ‘away day’ for a management team or have a surprise 40th birthday party to plan our flexible events space and service will work around you and your requirements. We take personal responsibility for each event we host at the Round House. …and much more. Equally, we are happy to work with your own handpicked team and ensure the smooth running of your event on the day. For your corporate event, we offer exclusive hire of the Round House and terrace providing complete privacy and no distractions throughout your event. Located just 20 minutes from Exeter, we provide an inspiring alternative to a more traditional city centre corporate venue, with the added benefit of having free parking. We provide all the basics you’d expect of a corporate events venue including audio-visual equipment. Moreover, we can also add a wine tasting experience to your day, typically a tour of the vineyard followed by relaxed, informal tasting. So whether you are planning a breakfast briefing, networking event, an off-site meeting, workshop, training session, team or strategy development day or your staff or client party we’d love to help you make it a success. Hiring the Round House for a private party is not confined to weddings. This special place in such a beautiful setting is just made for summer drinks, parties for social groups or associations, naming ceremonies, engagement parties, special birthdays or wedding anniversaries and Christmas parties. If you are a true romantic at heart you could even hire the Round House for a surprise proposal. Just the two of you, that view, candle light, sumptuous canapés and champagne – we can arrange it all for you. 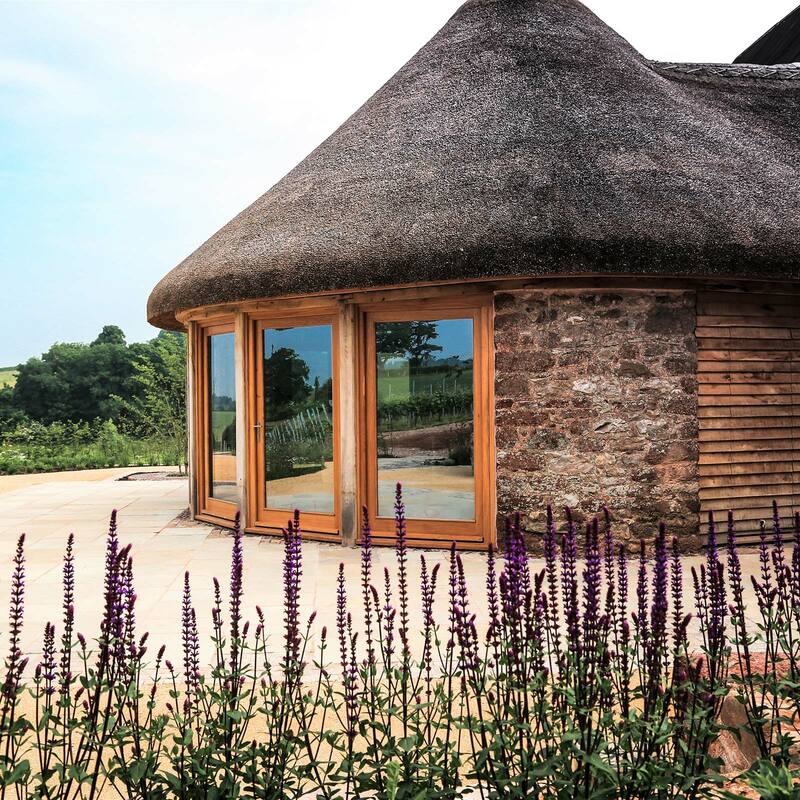 Whatever your reason for hiring the Round House, exclusive hire guarantees you of total privacy and space for your special occasion and practical help to have things just as you wish. We’d be delighted to help you plan your special event in these gorgeous surroundings. To find out more call Joanna today on 07931 592969 or email events@brickhousevineyard.co.uk. "Thank you so much for your help and support during my husband’s Wake. You helped us make the event really special"
"Thank you so much for everything last night, it was fantastic! Your vineyard is stunning and the food simply amazing!" "What a fabulous mix of networking, talks and festive cheese and wine tasting! A stunning venue with beautiful hosts. An unexpected treat! Thank you Matt and Jo; so looking forward to coming back!" "Having run events at venues from Tate Britain to Cambridge Colleges, nowhere has the welcome been so warm and event so enticing as at the Brickhouse. A perfect mix of elegant sophistication and relaxed country charm. A perfect venue to get out of the city and revitalise your team." "I was lucky enough to document Jo and Matt's renovation of the Brickhouse Vineyard over the past year. A joy to work with, they have created an extraordinary weddings and events venue in one of the most picturesque corners of Britain. And the wine is pretty decent too!" "A big thank you to Joanna Pisko-Szczepura for her amazing hospitality last week, when Lynn Gillard and I were lucky enough to be invited for a tour of Brickhouse Vineyards. Jo is a fabulous host, and put on a wine tasting/food pairing experience for us too. Can't wait for the all the renovation works to be completed - this is going to be a beautiful venue for corporate events, meetings and weddings."